Just wanted to say, I have been there too! Here I am 25 years of age, and still living at home with my parents. Several of my worldly relatives ask me, " What are you doing with your life?" I would answer, " I am training to be a homemaker, wife, mother, follower of Christ, and an anti-feminist teaching others about the dependance on Christ and Man! My side things I am doing, are fashion, photography, webdesign, guitar, and French. These will help me in my life as a mother." Find things that will help make your life as a wife and mother, easier.And work in a homebusiness, like I am. My family and I run a bakery business! We make and sell wholesome granola bars, and so far they have gone as far as Michigan(We live in Washington State). All I can say, is, " The Lord says, For I know the plans I have for you. Plans of peace, and not of evil, to give you an expected end!" He knows what you are going to do, just trust Him! Dear Anna, first of all let me say I wish you the best of luck on this great journey called life! We all have periods when we're standing at a crossroads, not sure what to do. Been there when I graduated from highschool. Now I'm almost done with college, and here I'm standing again, not sure what to do. However, I'm not fretting and worrying, and thank you for reminding exactly WHY we shouldn't do that. Prepare, yes. But not worry! He has a master plan for us! God bless you, dear sister, as you seek to be His Handmaiden. 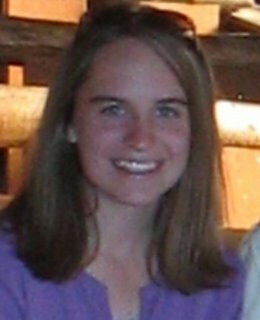 I am a homeschool graduate currently living at home, teaching music lessons, doing much volunteer work, and serving as Director of Religious Education at our church. The world does indeed look on our season of life with eyes of curiousity, misunderstanding, and sometimes disdain. The key is, just as you said, that our Lord is faithful. As long as we are serving Him and at the same time remaining attentive to His Will, we will be secure. There can be moments of frustration or discouragement about others' sometimes viewing us as "without dreams" or "unambitious"... but the truth is, sweet following of His Will is the greatest ambition there is! What a lovely post, Anna. I really identify with all this. Not with post-highschool options (it was a given in my family that I was going to college), but with post-college options. I had a lot of time of searching, as I thought of post-college job options. I got a lot of inquisitive looks with the non-full-time-with-benefits path I chose, but I'm glad it was God's plan for me :-). Anna, I know how much this is a big thing for you right now; we have been prayer warriors about what God is calling us to do. While I feel God leading me to NOT attending college, His plan is different for everyone. I pray that He makes it clear what you are to do. How thankful I am that God's ways ARE higher than ours. These new seasons of change that many of us are finding ourselves in our crazy, but praise be that "God's grace is sufficent. His power is great in our weakness!" I will continue to be praying for you, my friend. I also just wanted to mention an online forum for girls that I'm a part of. It's specifically for girls who have graduated from highschool but are still living at home (although anyone can be a part). Here's the link: http://aladyinwaiting.freeforums.org/index.php. Thank you all for your encouragement. Actually Michele, I really like that verse as well and posted it at the end of my musings. =) It's a wonderful reminder to me when I'm worrying. Thank you all for sharing about your experiences. I really enjoy hearing what others went/are going through. Anyone can post more examples of what they did - college or otherwise! Sorry that I didn't get to post here earlier. I can really relate to what you're going through. I went through a lot of the same questions when I tried to decide what to do after high school. The one thing that you can cling to is that God is faithful - no matter what. After high school I stayed home for a year, trying to figure out what to do. I've tried to follow God in the decisions that I've made and been amazed and where God has allowed me to go. I don't have it all figured out. It's still difficult to been in times of uncertainty about the future, but that's when we have to trust him. Even today I found myself having to give God my future again because I don't know how it will work out. I admire your courage to trust God and seek him. It's hard not to have a clear direction but, as you wait for him, he will prove faithful. When I was trying to decide what to do before I went to Timberline, I attended the CTCI summer heroes program for two weeks. I had applied to places but was still uncertain. I came to the point of just having to surrender it all to God. That meant that I might still go home and not know what God wanted me to do. I gave it to him and the next day I had a phone interview with Timberline and through that I saw that this was where I should go. It had been a whole year of uncertainty and having to wait but "at the last minute" it seems - just a few weeks or so before it started - I was finally able to decide to go to Timberline. After that it has been more times of asking God for guidance and wisdom and times of uncertainty and waiting but God has been faithful through it all. As you said in your blog he is faithful and "he has greater things in store" that you could ever imagine. Keep seeking him. Take courage! God is faithful! Whatever happens he will show himself faithful! I'm keeping you in my prayers!